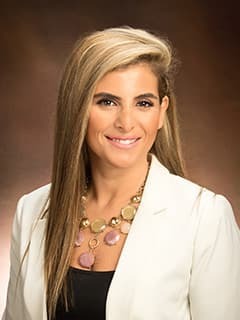 Laial Bitar is a patient relations specialist for Global Patient Services at Children's Hospital of Philadelphia. As a multilingual Patient Relations Specialist, Laial supports international patients at CHOP. Her role is integrated into patient services, from meeting with international families upon arrival, to maintaining effective communication with families for their entire stay. She also provides an orientation to new families, including an introduction to the care team, a tour of the facility, and assistance in arranging appointments.